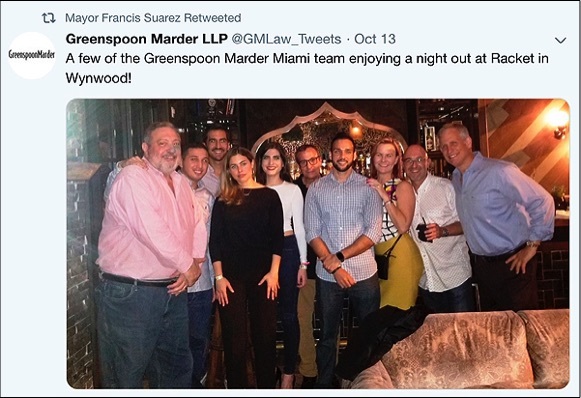 Francis Suarez, has repeatedly proclaimed that he has no intention of putting aside the practice of law if the voters approve the referendum that would make him the Strong Mayor of Miami, and only a few months ago signed on with Greenspoon Marder LLP to be "Of Counsel," in the process stating that one of the reasons he chose to go with this firm was that they supposedly had fewer "conflicts of interest" with the city because they didn't do much government work that involved the city. In making this admission, Suarez acknowledged that he knew and recognized what a conflict of interest looked like, but as with so much else with Suarez, what he says, and what he does are often at odds. 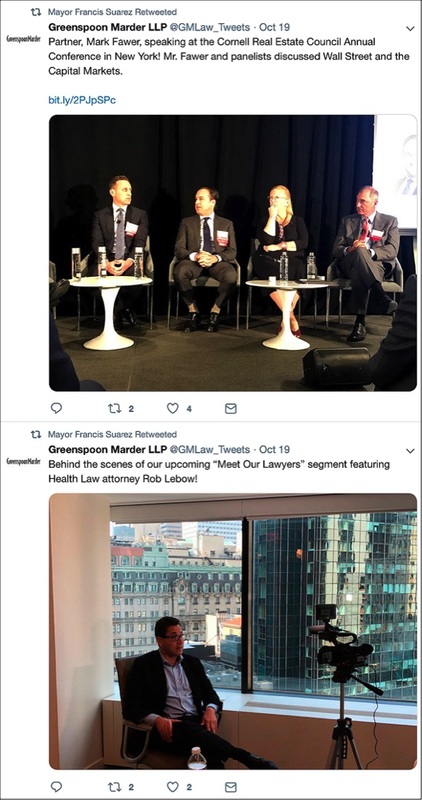 What he failed to mention when he made that claim was that in addition to not revealing that Greenspoon Marder LLP, was one of the primer law firms providing legal services to the growing marijuana industry, the law firm also had Louis Terminello as a partner. 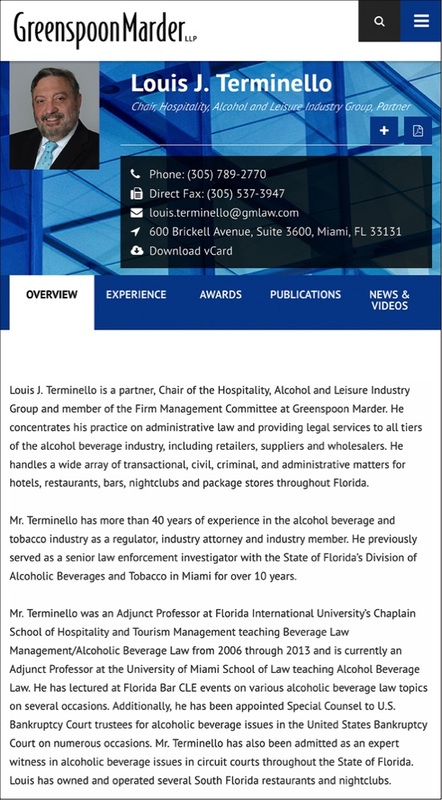 Lou Terminello, as those who follow such things know, is considered the go-to guy for anyone seeking a new liquor license in South Florida, or for anyone having problems with their liquor licenses. He is the equivalent of a whale in the very small but important fish tank for any and everything having to to with liquor licenses. Why is this is important information to know? 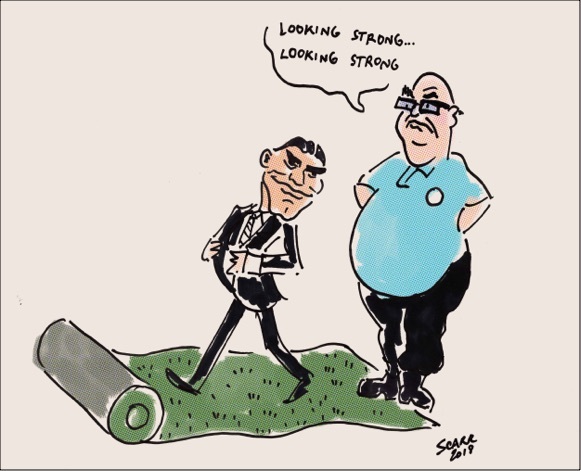 Because if Suarez does become the Strong Mayor, he will have enormous influence over how major development projects like the Magic City Innovation District, and the Freedom Park Soccer Stadium complex - if the voters approve the referendum giving them the Melreese Golf Course - get awarded liquor licenses, and how many. How advantageous do you think it is to have the Mayor of Miami as a member of the law firm you might choose to hire when it comes to applying for a liquor license from the city, or from the law firm's point of view of having him retweeting promotional messages about the law firm using his title of Mayor, and on a Twitter page that features City Hall and the imprimatur of the Mayor of Miami? 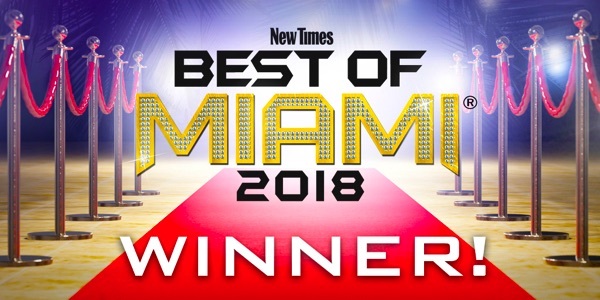 But we're not talking now about the future now, but about the present, and the notion that the Mayor of Miami would openly and brazenly use one of his mayoral Twitter pages to post promotional tweets touting the law firm he is affiliated with is absolutely sleazy, and in an American city might be be considered a CONFLICT OF INTEREST and an ABUSE OF POWER! 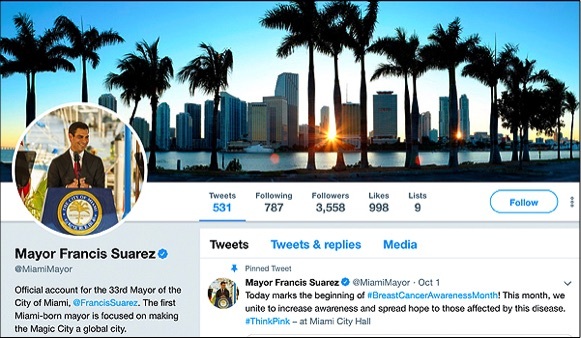 It's hard to distinguish a difference between these two Twitter accounts, because while the one on top claims to be the "official account" for Miami's 33rd Mayor, the one on the bottom also could be considered an "official account," given that it too is used by "Mayor Francis Suarez," to promote and report on his activities as the Mayor of Miami. In fact the Twitter account on the bottom, as evidenced by the number of numeric indicators is clearly older, and more likely to be the one that many residents in Miami follow. 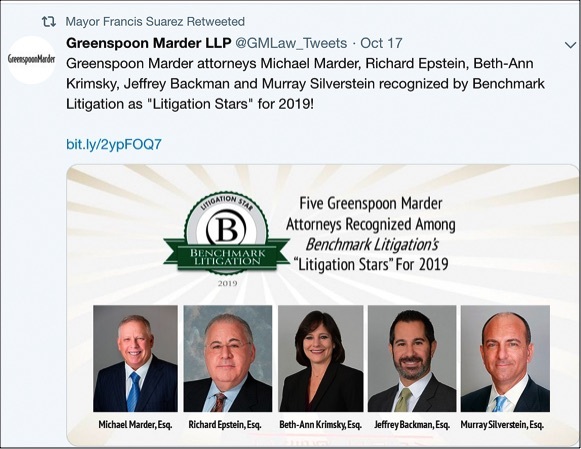 The only significant difference between these two accounts is that Francis Suarez uses the bottom one to post promotional tweets from his law firm of Greenspoon Marder LLP. 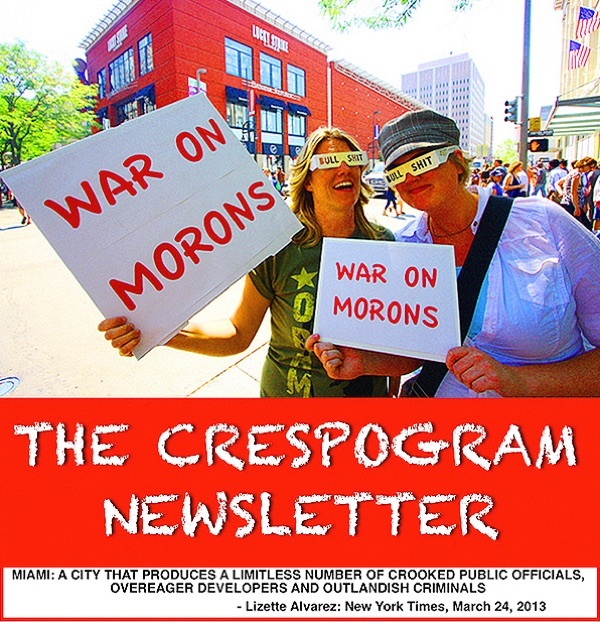 Imagine if the Mayor of Miami owned a car dealership and was doing this to promote his car lot, or if he owned a TV station and started retweeting tweets about the programs on his station, and the people in the newsroom? 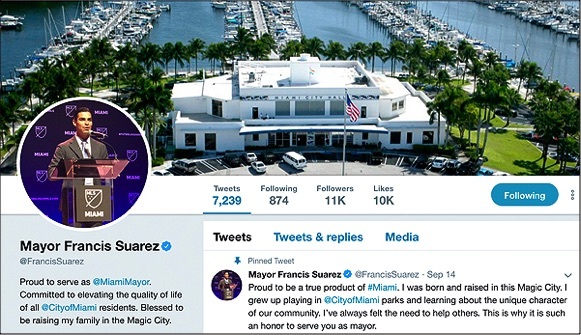 This is no different, and in fact, it's actually worse, because Francis Suarez is an attorney, he he damn well knows better than to mix his private business activities with his activities as the Mayor of Miami! 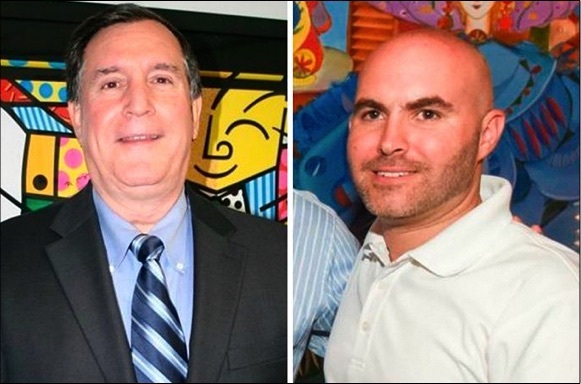 In the latest chapter of the saga involving Joe Carollo and his former aide Steve Miro, Miro has filed a lawsuit against the city for their failure - or refusal - to provide him with Carollo's emails and text messages. Miro who was fired 3 months ago after he alleged that Carollo asked him to lie on his behalf in regards to the ethics complaint filed by Ball and Chain owner Bill Fuller, went on to make a number of allegations against Carollo's activities since he's been a city commissioner that are allegedly the subject of investigations by the State Attorney's Office. Since few people put any faith in the integrity of Katherine Fernandez-Rundle to pursue public corruption cases against prominent Cuban exile politicians - better known as the Family and Friends Plan - it's left to people like Fuller and Miro to file lawsuits, either to get Carollo off their backs, or to obtain information that might at least expose the levels of chicanery that Carollo has been engaged in since he was elected. COLONEL KLINK CORGIALLY INVITES YOU TO JOIN HIM FOR THE ANNUAL, MIAMI CITY MANAGER'S GOLF TOURNAMENT, AND GUESS WHERE IT WILL BE HELD? 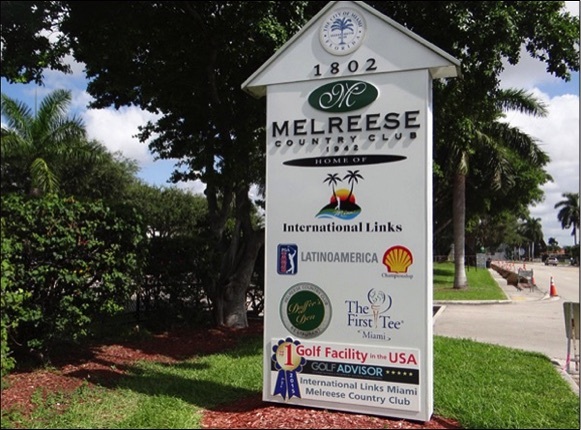 After all the backroom deal making, nasty references to the DeLucca's management skills, and just days before the midterm election where a referendum question on the ballot is to essentually give this golf course away to billionaires Jorge Mas. his brother Jose, Marcelo Claure and Simon Fuller, and their sock puppet David Beckham, Miami City Manager Emilio "Colonel Klink" Gonzalez, will be hosting the annual City Manager's Golf Tournament at Melreese Golf Course on Thursday, November 1st, with a committee made up largely of city employees - anybody want to bet that whatever they do on behalf of this venture is done on city time and paid for by the taxpayers?